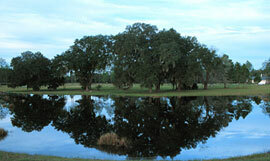 While country in setting, Savanna Pointe enjoys the convenience of the city of Gainesville. 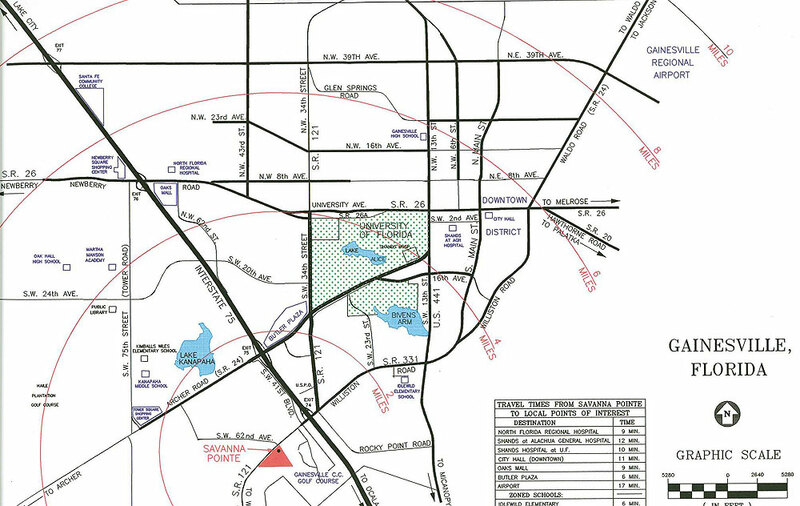 Within a 5 mile radius and 12 minute drive, Savanna Pointe residents will find Interstate highway access, grocery shopping, the regional shopping mall, restaurants, North Florida Regional Medical Center, as well as the University of Florida, Shands Hospital, and the Veterans Administration Hospital. Immediately adjacent to Savanna Pointe is the area’s oldest private country club, the Gainesville Golf and Country Club, chartered in 1921. The Club has memberships available at many levels, and offers fine dining, a challenging 18 hole golf course, Olympic sized pool, and tennis courts. 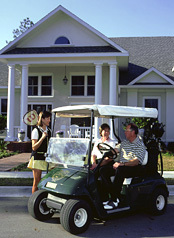 Since the Club is available to Savanna Pointe residents via an exclusive cart path, homes in Savanna Pointe are built to accommodate private golf carts, if desired. Kanapaha Middle School is located on S.W. 7th Street approximately 4 miles north west. Gainesville High School is located on NW 13th Street approximately 6 miles north.